Baublebar has been going for a while now so I no longer feel as if I'm letting out some great secret when I talk about them as the greatest source for reasonably price jazzy-jewellery. All the great style leaders know about this place, yet we all still act like it's some kind of underground cult shopping community. Ask someone where they got that smashing necklace and they'll whisper, "you'll never believe it, but I found it at this place called Baublebar and it was only like $20." Yeah, I'm not sure why we're still whispering. Perhaps it's because we ourselves still don't believe the great deals. Now that they are shipping worldwide, I see more and more of their material popping up in my local in London. So it's high time for a shopping edit. 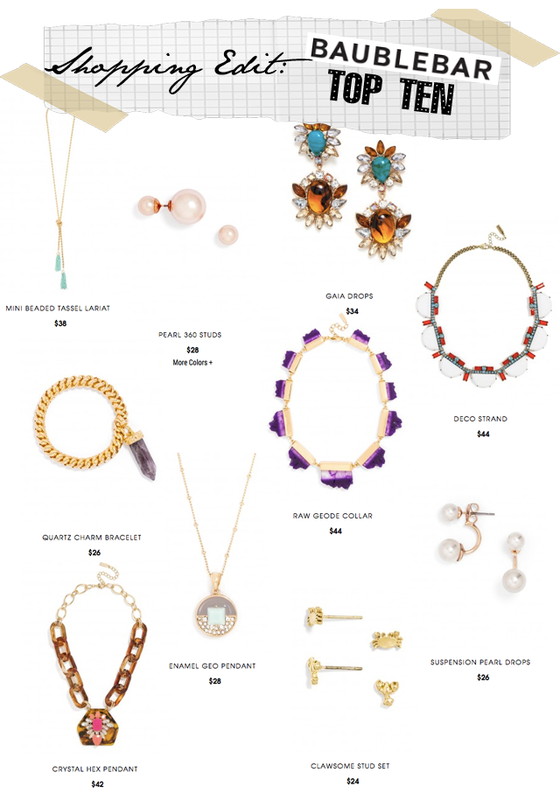 Herewith you'll find FFG's top ten picks from Baublebar for summer. There are pieces that scream Dior, others that look very similar to Cartier and most that are just plain fabulous without emulating anyone else. Enjoy!